One of the most popular races in the Formula One Circuit, the Japanese Grand Prix is hosted at the Suzuka International Racing Course. Located in Suzuka, Japan, the course offers an exciting blend of technical challenge and viewer enthusiasm thanks to Japan’s passionate Formula One Fans. The Suzuka Course features a variety of unique and challenging corners, as well as a change of direction and inclinations. It also features a long straight section in its third sector, making it a thrilling race to watch. The Japanese Grand Prix delivered on its promise of excitement, however, it left many Ferrari fans disappointed. Leading Ferrari driver Sebastian Vettel was robbed of any chance for the win when a spark plug on one of his car’s cylinders failed, allowing him only four laps in the race. With Vettel out of the race, it was up to fellow Ferrari driver Kimi Raikkonen to pick up the slack and show what the impressive Ferrari car is capable of accomplishing. Raikkonen delivered with an impressive fifth-place finish, but even this finish was not without its fair share of challenge. At the start, Raikkonen started out in tenth place, maintaining this position until dropping further after running off track after he was pit against Renault driver Nico Hulkenberg. After switching to soft tires, Raikkonen experienced an uptake in performance, making quick work to make all the way up to fourth place. Another quick tire switch to Supersoft tires and a dynamic drive, the Ferrari driver was able to secure a solid fifth-place finish. Raikkonen finished with a time of 1:28:03.716, just 32.622 seconds behind the first-place finisher, Mercedes driver Lewis Hamilton. After a hard-fought battle in Japan, Ferrari will be moving on to the North American Grand Prix, hosted at the Circuit of The Americas in Austin, Texas. 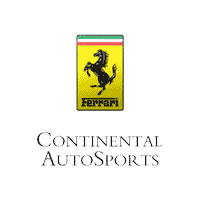 Stay up-to-date on Ferrari’s performance in the Formula One Championship here at Continental Ferrari. For more information on the brand’s performance in past races, be sure to take a look at our blog!